Send me a letter now... FREE! Just write in the box and then click send. I"d love to SEE you! 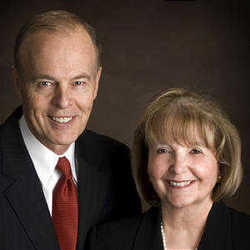 David Edward Poulsen, 62; East Mill Creek 12th Ward, Salt Lake East Millcreek North Stake; gospel doctrine teacher, former counselor in a stake presidency, bishop, stake patriarch, high councilor, regional representative and missionary in the Southern Far East Mission. Chief executive officer, American Express Centurion Bank. Born in Provo, Utah. Married Adrienne Wilson, six children. 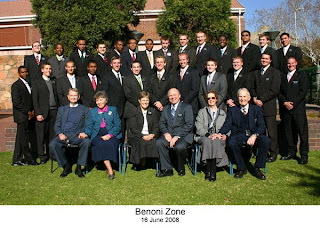 A ward missionary and member of the ward activities committee, Sister Poulsen is a former ward Relief Society and Young Women president, branch Primary president, seminary teacher and gospel doctrine teacher. Born in Long Beach, Calif.
Hooked on phonics Ain't it wonderful? 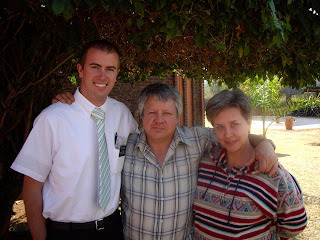 I did not forget his birthday I called him and he was very happy, you got me very worried when you say Elder Garcia’s companion might be having TB I got worried cause TB is a life treating disease and contagious and I called him this morning he said we shouldn’t worry and I should let you know that he is fine and his companion is ok and in fact he doesn’t have TB he went for X-ray and the test came negative he is fine now I always put them in my prayers and also thank God for having them around to share the gospel with us and somehow for Elder Garcia and myself to meet was God’s plan he is my son in Christ he came to fulfill God’s plan in my life and always thank God for just knowing him and having him to share this beautiful gospel with us he is such a blessing In our lives ,I love him so much and will always will and ever since I meet and got baptized by him I’ve been blessed spiritually and got a calling in relief society as a secretary, blessings are just pouring in my life I did the right thing to accept the gospel and to be the member of the church. Our names Duduetsang (dudu) meaning to ululate or rejoice & Reneiloe (rene) meaning given, we are both GIRLS and yes we are also TWINS. we are a family of 4 that includes ur mom and a younger sister called Onalerona and mom's name is Jessie. our parents are divorced, its has been 3 years now. We work together in a cd store, i know it's hard working@ a young age but we help our mom with the finances of the house and we also pay for our own schooling. We are both studying A BCOMP IN ACCOUNTING SCIENCES, and we have been members of the church all our lives meaning we where born in the church. lets forget about the the serious issues, we went to Tembisa this weekend to surprice Elder Garcia because as you know it was his b-day on thursday. 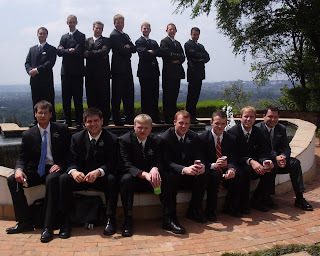 so we got to one members house and we gathered all his friends from the YSA's in Pretoria & drove there. He was so shocked he couldnt believe we all made it there & we planned to surprice him, It was fun .he was stunned! we have to love and leave you now . 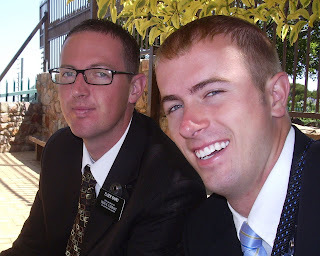 Email from Galdys (new convert) to Cam! Hope you are fine and doing well spiritually, Thabang wasn’t happy yesterday after talking to you he said you didn’t seem to be happy to hear from him, but at least I did show him the message you’ve sent ,and thanks so much for everything, and now everything is now making sense about the Gospel and is all because of you with all the love you’ve shown to me and my son we are so grateful and I know that you were surely sent by God only you to teach and baptise me, Somehow I think it was God plan I never felt like this in my entire life for anyone I hardly know ,the love I have for you is like the love I have for my son and my family that’s why I call you my first born son and may God bless in your journey and all the best in life. South Africa doesn't celebrate Halloween, but they know what it is because they have seen it in the american movies. 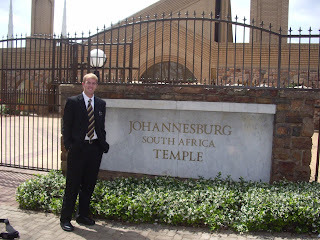 Transfers are this Wednesday, I am getting an elder named Elder Parsad from Trinidad. I'll let you figure out where that is. I currently live in a flat with a kenyan, a nigerian, and my comp the ugandan for a week until transfers. I am currently in Tembisa and arrived here August 2nd. 1. I did get to watch all of the sessions of conference, save one. the sunday afternoon session. 2. That session was showing from 10-midnight here in south africa. 3. When Elder Wirthlin was speaking and started to shake i wanted to get to him so bad to give him a hug or something to help him relax and be calm. 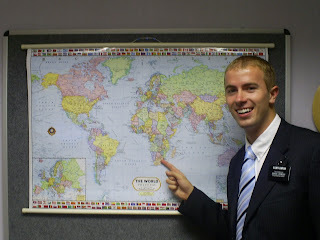 just after i thought that, Elder Nelson got up in my place. i will cry my eyes out when that man passes away. 4. 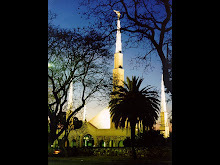 Do you remember Elder Cristoffel Golden Jr.? he just got released from our area presidency. he told a story about a man named Stan...it was very boring. 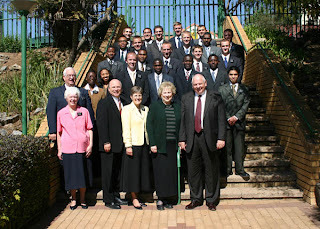 but the picture he showed of Stan and his wife was of course in from of the Johannesburg temple. This week we had zone conference. it was awesome! This is Brianne... I had a few questions for Cam, I'm sure you'd like answers to as well. 1. Conference started at 10 am here and it was 7pm in South Africa... how does that work anyway? 2. When did you watch? 3. What was your favorite talk and why? 4. 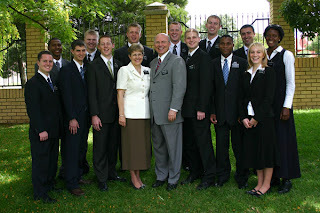 Any general authorities visit your mission lately? you know, i havent been on one of these things in so long that i have almost forgotten on how to do it. things are going well here in tembisa, south africa, lots of rain? last night South Africa beat the snot out of the U.S.A. in the rugby world cup! 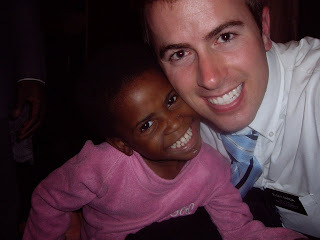 Mzansi fo sho! next they will most likely be playing fiji...then on to Australia! 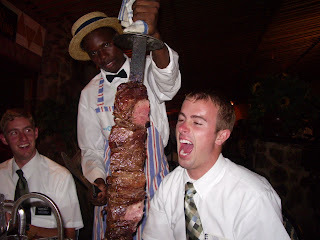 elder brown is goin down again! then in the finals of the world cup will be South Africa and New Zealand! anyways....this blog thing is pretty cool, i will be sure to put more pictures on next time. thats really almost all i can do anyways...haha. love everyone. Ke a go rata! Simaya hantle!! 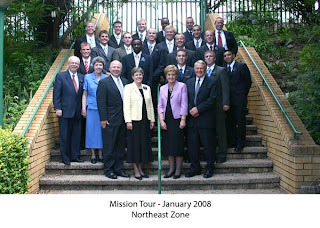 After a super long flight to London and another on to Johannesburg, I entered the South Africa Mission Training Center November 2, 2006. Don't forget a return address or I can't write you back.